There's no denying the lasting appeal of Ernest Thompson's On Golden Pond, a modest drama from 1979 on aging and the prospect of death, coupled with a family's reconciliation. There's also no denying the talent offered by two of television's all-time favorite prime-time parents Tom Bosley and Michael Learned in the lead roles of Norman and Ethel Thayer. Both expertly wring out of their characters the emotions that run parallel with growing old and the realization that life really isn't very long. But unfortunately, the Leonard Foglia-helmed revival -- having just begun the first leg of its national tour in Saint Paul -- feels incredibly tiny on the stage. Perhaps it's just the venue -- the Ordway Center for the Performing Arts' Main Hall is downright cavernous. But the simple nature of the story itself never packs the emotional wallop you're expecting it to have. At the heart of the drama is Norman Thayer's estranged relationship with his 42 year old daughter Chelsea, stridently played by a very stiff Kate Levy. When Chelsea and her new boyfriend Bill (Evan Pappas) leave his son Billy (understudy Dylan Perlman) with Norman and Ethel so they can spend a month alone in Europe, Norman turns from an old curmudgeon into hipster during intermission. There's never any explanation for Norman's metamorphosis or why young Billy has so easily bonded with the man who's 67 years his senior. It's as if significant scenes were ripped from the production in the interest of moving the story along in a quick two hours. When Chelsea returns as a married woman, she's essentially rebuffed by a father who admits to never liking her. Yet, almost inexplicably, the new-improved Norman tells Chelsea in the final scene -- via telephone -- that he loves her. While the subtext is clearly that young Billy has had a profound impact on Norman's outlook on life, we never get to experience it. And that's probably the biggest deficiency in this otherwise pleasant little show. Clearly, it's a deficiency that the very appreciative audience was more than happy to overlook, as evidenced by their rousing standing ovation at the end. But what could have been a more intimate and dramatic examination of how even old dogs can learn new tricks and appreciate new ways of looking at life, was instead completely left to the imagination. 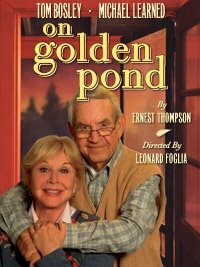 Click here for On Golden Pond ticketing for St. Paul. Mike, Not that I'm aware of, but then again when you consider that so many other plays and movies get the post-musical treatment, nothing would surprise me! Mike, thanks for letting me know about it. I've done a little research on my own and found that Another Summer was first produced by the Seacoast Repertory in Michigan (maybe that's how you first heard of it?) back in 1998. 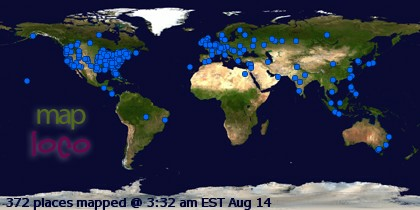 If you unearth any other information, please pass it along! No Steve Thank You. I'm half-way able to keep up with my partners conversation since I've been reading your blog. Actually theaters pretty good here is Michigan at least in the summer. Lots of talent comes back home. Sugatuck a gay resort town does some interesting things. I'll let you if we see Madame X and/or the Pirate Queen. Mike - appreciate your kind words, and I'm glad you enjoy my column. If you do see The Pirate Queen and/or Madame X, I'll be very interested in hearing what you think! P.S. Speaking of State Fair, I wrote at length about it back in July (http://steveonbroadway.blogspot.com/2006/07/will-it-play-in-peoria-how-about-iowa.html) thanks to family connection. Thank you for setting the record straight. My apologies for any errors on my part. Is It Close-to-Curtains for The Producers?